The holiday season is finally here, which means the seventh annual West Chester Kris Kringle Crawl is approaching. 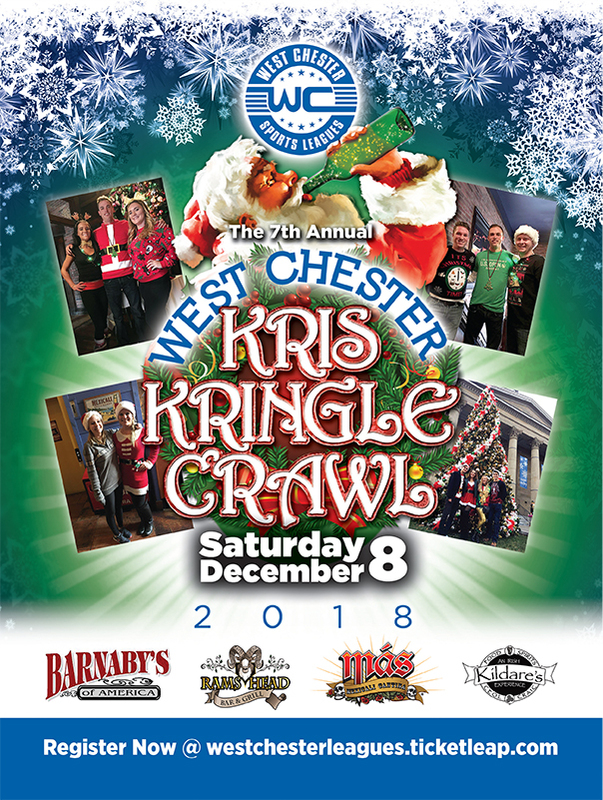 The West Chester Kringle Crawl is a holiday themed bar crawl happening on Saturday, December eighth starting at 12pm. There will be food specials, drink specials, music, and surprises at all participating venues. You want to make sure you dress up in Christmas-themed attire, because there will be a costume contest. Bars participating are Barnaby’s, Ram’s Head, Más Mexicali Cantina, and Kildare’s. Tickets are available online starting at $20. You can also purchase tickets at the door for $25.